Moving things upstairs is probably the hardest work there is. Gravity is against you. It makes you feel more tired and exhausted. To make your work easier and lessen your burden, you might as well purchase a hand truck. But don’t just purchase an ordinary hand truck. 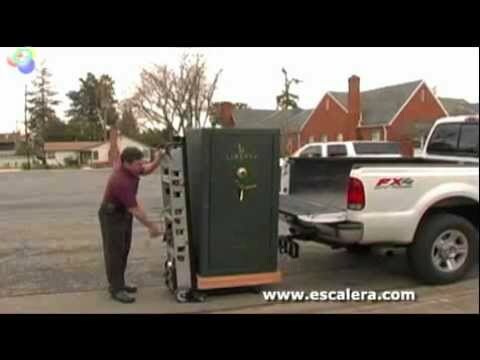 Choose a hand truck that specifically helps you in moving your stuff upstairs. Pick a stair climbing hand truck. But what brand should you choose? Opt for the Powermate stair climbing hand truck. Why Powermate is a Good Choice? Powermate hand trucks are produced by L P International Inc. For over 36 years, L P International has been manufacturing and distributing Powermate Safety Moving Systems all over the world. Today, the said company has created its big name in the material handling equipment industry and known for its esteemed reputation for delivering top quality equipment. The home of these quality products is in Brantford, Ontario. They don’t only produce top quality stair climbing hand trucks, Powermate also provides excellent customer service. Customers love their top notch service. Currently, the company has 44 fulltime employees. Their best selling product is the Powermate line of motorized electric stair climbing hand trucks. With this type of hand trucks, you can now move and lift big heavy loads upstairs. Examples of big heavy loads are vending machines, water heaters, barrels and drums, oxygen tanks, electric motors, boilers, air conditioners, filing cabinets, copier machines, furnaces, safes, stoves and many more. As the brand name implies, Powermate is definitely one powerful moving handling equipment. Powermate’s light duty trucks can carry about 200 pounds of load. But their powerful stair climbing types can at least carry 1500 pounds of heavy load. With stair climbing hand trucks, you can ease your worries on moving things upstairs. This is indeed a very helpful tool. It can be used in houses, offices, warehouses, schools, food and beverage industries and a whole lot more. You can use the hand truck in any setting. The hand truck is also very easy to operate. Just read the accompanying manual or ask Powermate’s very accommodating staff. They will answer all your questions professionally. Powemate is the brand of stair climbing hand truck known for its durability, quality construction and versatility. This won’t be possible without the endless efforts of L P International to sustain its tradition of delivering only the top products in the industry. The company is truly dedicated and determined to bring you only the best among the rest. They want their customers to be happy and satisfied on every product they purchase in their company. To find the best selections of motorized stair climbing hand trucks, I invite you to take a look at these selections: http://handtrucks2go.com/Powermate-Motorized-Truck.html. You will never find such great prices anywhere else.